MIAMI, FL – November 8, 2018: Matthew Capala, founder and Managing Director of the Alphametic agency, is confirmed to speak at twelve Digital Summits conferences across the U.S in 2019. This is his 4th year being on the Digital Summit tour. 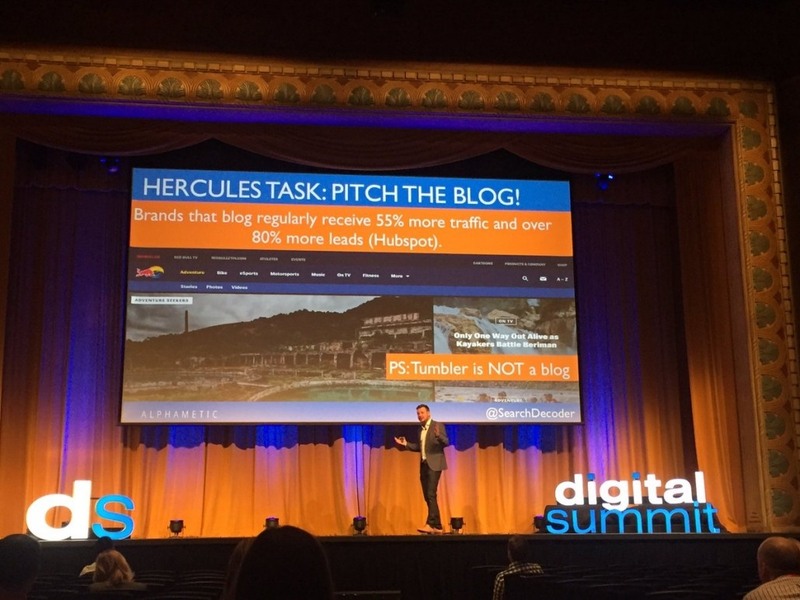 This summit is one of the leading digital marketing conferences in the United States, with over 18 conferences per year and over 20,000+ attendees. Digital Marketing professionals fly in from all over to hear experts speak on various internet marketing topics, such as social media, email marketing, content marketing, SEO, paid search, UX design and usability, and mobile marketing. Other iconic marketing thinkers that have been featured on the Digital Summit stage include Seth Godin, Marc Cuban, Rand Fishkin, Gary Vaynerchuck, Jay Baer, Chelsea Handler, and Ann Haley. A highly-rated speaker and author, Matthew Capala has a reputation as a thought leader and has delivered SEO keynotes and workshops at multiple conferences, including CosmoProf, The Casino Marketing Conference, Social Media Week, Internet Summit, AMA, Search Marketing Day, Techmunch, and many more. Make sure to catch him, as well as other digital professionals, on the 2019 Digital Summit tour in your nearest city. To book Matthew Capala to speak at your next event, conference, trade show or corporate retreat, please email [email protected] to inquire about his availability.